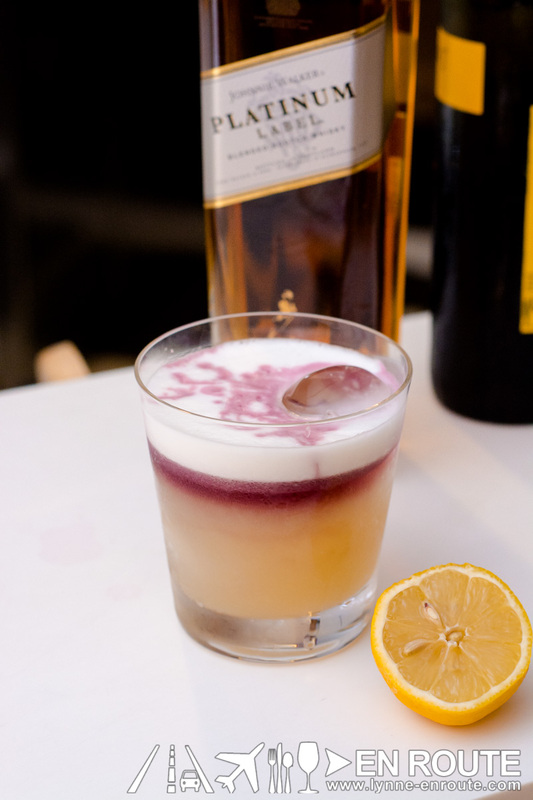 The New York Sour is basically a Whiskey Sour garnished with a topping of red wine. Preferably, you would want a spicy red like a shiraz to complement the sweet bourbon and sour lemon. From experience, a great bourbon to use is Bullleit. But nothing is stopping you from changing that bourbon whiskey to scotch. It actually gives off a more refined taste of smoke and aged wood. 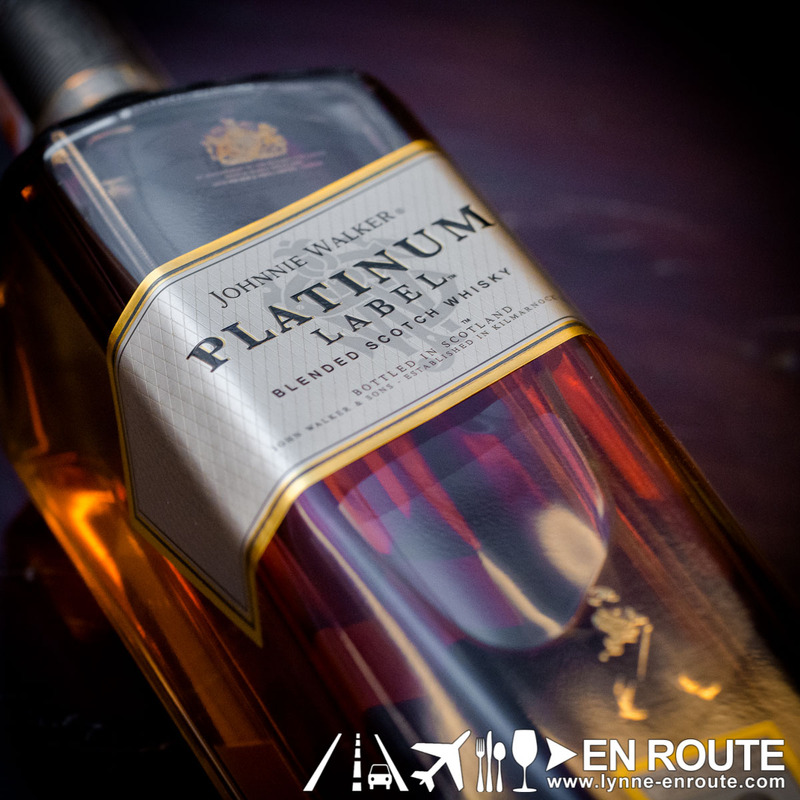 And what better to use than one of Johnnie Walker’s premium blends: Johnnie Walker Platinum Label. We tentatively have named it the Scotsman in New York, but we are open to suggestions. Close it in a shaker and do a dry shake for 10 seconds (A dry shake is just shaking it without any ice). The dry shake makes the egg white froth. You will see why this is important later. Pop the shaker open and place in ice. Carefully float the red wine. To make this easier, pour the red wine through the back of a bar spoon so that it spreads out. (The reason for this is you want to keep the wine on top. If you pour it straight, the pressure of the wine will force it down into the drink, messing up the whole presentation). Alternatively, we have found out that this works well also with a Johnnie Walker Red Label if you want a little more spice into the concoction. We should have known. We used to make strawberry lemonade with Red Label in it!